Henry Floyd Gamble (16 January 1862 – 7 September 1932) was a surgeon, obstetrician, gynecologist, and president of the National Medical Association from 1911 to 1912. Born at North Garden, Albemarle County, Virginia, Gamble's mother, Willie Ann Howard, had been a slave on the Howard's Neck Plantation in Goochland County Virginia. Her father was her master, and her mother, Eliza Howard, was also a slave. His father Henry Harmon Gamble was a foreman on the same plantation, and was of Scotch-Irish and Native-American descent. Speaking of his early struggles for an education, Dr. Gamble is quoted as saying, "In 1875 the Flanagan Bank failed, my father had saved $500.00, which was then due on a small home he had bought. Having all his savings in the bank, he lost it all in the failure. The payment on his property and the support of a wife and ten children took all that father and children could make. For that reason I could not attend school, but hired a night teacher while I worked at the University of Virginia in the home of Dr. John Staige Davis, Professor of medicine in the University. The present Prof. J. S. Davis, Jr., the son of my employer used to teach me and really showed great interest in my progress, till his father prohibited him from giving me further lessons. Nevertheless from '79 to '82, I made progress under my night teacher. By 1882, I had saved about $50.00 and entered the preparatory department of Lincoln University.” Gamble graduated from Lincoln with honors. He was the fourth African-American to matriculate in medicine at Yale School of Medicine. He worked nights as a janitor in order to pay his tuition, room and board, and graduated in 1891 with honors. His thesis was entitled “The Control of Epidemics.” On completion of his degree he returned to Virginia and began the practice at Charlottesville in 1891. 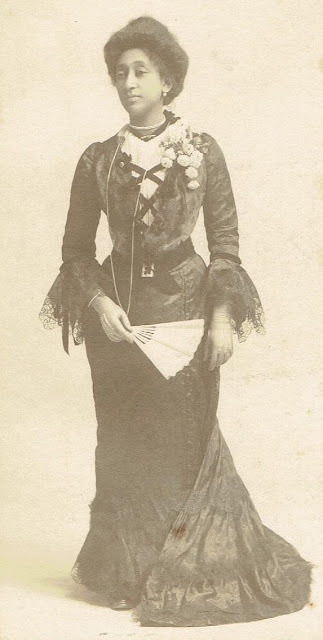 Soon after his arrival in Charlottesville, his sister, Anna Gamble Coles - who had helped support him as a student - had gone to Charleston, West Virginia to visit, and suddenly took ill. She wired Dr. Gamble and he took the train to Charleston, where he examined her and diagnosed a twisted cystic ovary. He found a local doctor, and together they performed surgery on Anna at the Charleston General Hospital. His acumen and ability as a surgeon won him immediate hospital privileges. The following year he relocated to Charleston, when the city numbered only seven or eight thousand. Dr. Gamble quickly gained a reputation for his exceptional ability as a surgeon and published scientific articles on topics such as thoracic aneurysms and cesarean section. Later he restricted his practice to surgery with much work done on miners from the coal fields, and kept a neat clinic in the basement of his home on Greenbriar Street only a few blocks away from the State Capitol. At first he did a general practice of medicine and surgery, but for the last ten years of his life he confined himself almost entirely to surgery. 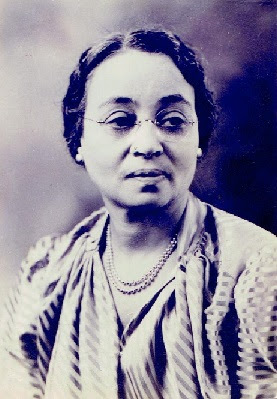 Since African-Americans were not allowed in the state medical society, Dr. Gamble helped organize the West Virginia State Medical Association, an African-American organization. He joined the National Medical Associationwhere he served as Chairman of the Executive Board, and helped write its constitution. In 1911, Dr. Gamble was elected president of the National Medical Association. Dr. Gamble was well respected as a businessman, and was one of the substantial property owners of Charleston. He was married thrice. First to Miss Elizabeth Gilmer, of Virginia, who bore a daughter, Katherine Lee; second, to Anna Banks of Pennsylvania who bore a son, Floyd; and third on June 27, 1917 to Miss Nina Hortense Clinton, daughter of Celia Ann and Martin Clinton of Zanesville, Ohio. 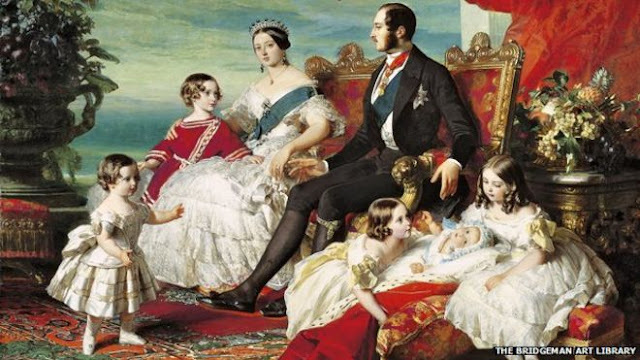 She bore him two children, Howard Clinton and Anne Lucile Gamble. Mrs. Gamble was an accomplished teacher and was one of the Jubilee Singers at Wilberforce University. While on tour with the Wilberforce Jubilee Singers in London, she witnessed and photographed the coronation of King Edward VII in 1901. Gamble was a member of the Masonic Order for a few years, and remained active with the Kappa Alpha Psi Fraternity. It was well known that he was an avid reader, and after his professional books he covered a wide range including works of poetry, philosophy and agriculture. He spoke German and Hebrew. He was still actively practicing medicine at the age of 70 when he was killed a block from his home when his car was hit by a train. His vision had been failing, and earlier that morning he had delivered a baby and was taking several friends back to see the mother, when his car was struck. Gamble and activist, author, and orator Booker T. Washington were dear friends and colleagues, both men having been born in Virginia. 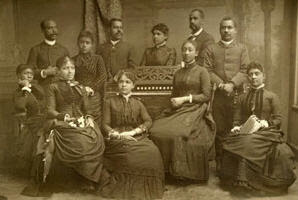 Their letters have been published in The Booker T. Washington Papers. When asked for some opinion as to the promotion of the interests of the Black race, Dr. Gamble said, "By striving and attaining to economic independence, combining savings, money and brains and establishing industries such as factories, and all other businesses that will give employment to our race group, then the race will have economic democracy." 1. Report of Committee on Medical Education on Colored Hospitals. J.N.M.A., v. 2, pp. 283-290, 1910. 2. President's Inaugural Address. J.N.M.A., v. 4, pp. 299- , 1912. 3. Case Reports: Thoracic Aneurysms. J.N.M.A., v. 12, pp. 18-19, 1920. 4. Caesarean Section. J.N.M.A., v. 16, pp. 189-190, 1924. ^ Jump up to:a b c "HENRY FLOYD GAMBLE". www.wvculture.org. Jump up^ Washington, Booker T. (3 April 1982). "Booker T. Washington Papers Volume 12: 1912-14". University of Illinois Press – via Google Books.